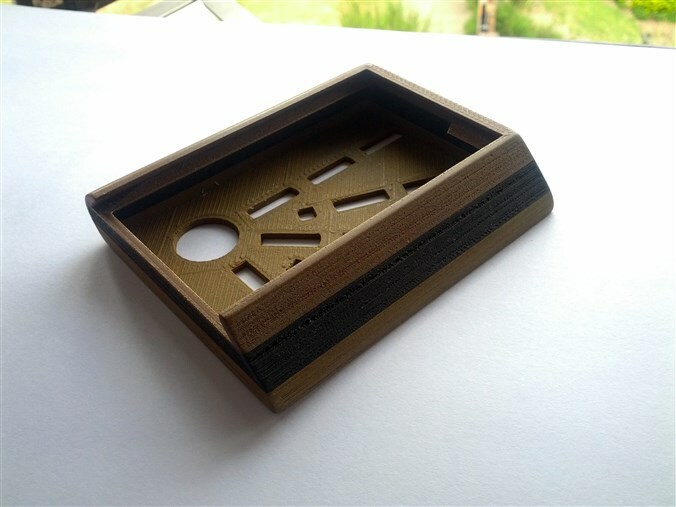 EasyWood™ Olive is a beautiful brown greenish wood filament which enables you to 3D print wooden objects with a nature moss-covered appearance. 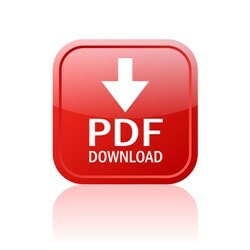 You will earn 29 loyalty points with this purchase worth £0.29 that you can use on this order. 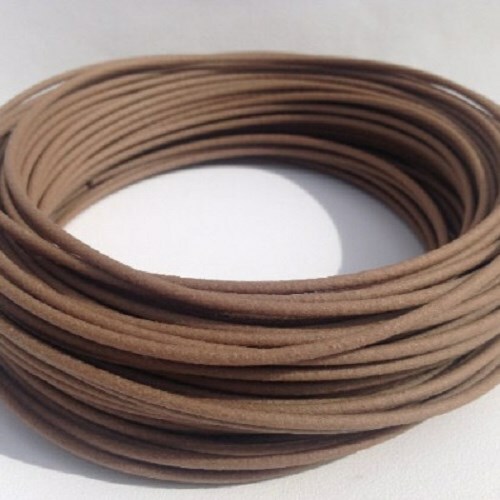 EasyWood™ Olive is a beautiful brown greenish wood 3D Printer Filament which enables you to 3D print wooden objects with a nature moss-covered appearance. EasyWood™ looks, feels and smells like real wood. EasyWood™ Olive is a unique mixture of 40% grinded wood particles in combination with the modified and proven easy-to-print binding polymers used for our EasyFil™ filaments. This extraordinary blend has resulted in a high-end and unsurpassed “easy to print” wooden filament. EasyWood™ Olive has a beautiful brown greenish wood colour with a nature moss-covered appearance and has similar thermal properties as our EasyFil™ PLA. Because of its low shrinkage factor, EasyWood™ is nearly warp-free and therefore EasyWood™ will not deform after cooling. Due to its low tendency to warp EasyWood™ can be printed without a heated print bed. If your printer is however equipped with a heated print bed we recommend to set your heat bed temperature to ± 35° to 60°C. EasyWood™ Olive prints best at a printing temperature range within 210°C and 225°C. Printing with EasyWood™ is remarkable easy, as it is a very easy to process material and an excellent first layer adhesion can be obtained by printing at various undergrounds without needing a heated print bed. Our EasyWood™ does not contain any hazardous, or chemical substances. 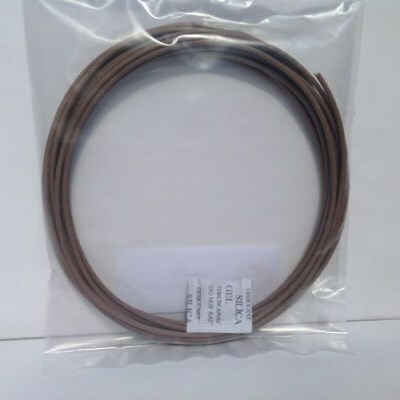 As a matter of fact our EasyWood™ filaments are RoHS certified and REACH compliant. You can obtain a beautiful wood-nerve structure in your EasyWood™ Olive printed objects by post-processing your print by grinding it a little bit with a piece of fine grit sandpaper. By grinding your printed object a bit you will highlight the relief, or rough edges/surfaces, of your printed object with different shades of the brown greenish wood colour. 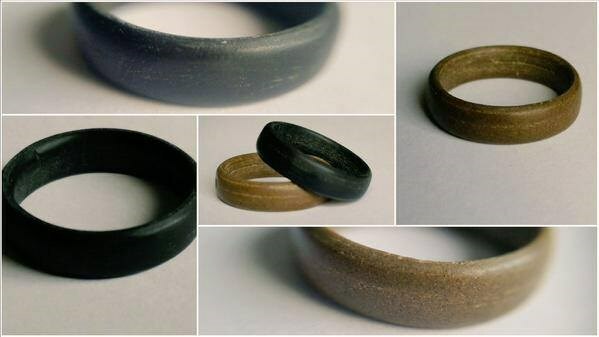 Post-processing with sandpaper will have the biggest effect on rough surfaced EasyWood™ Olive 3D printed objects. 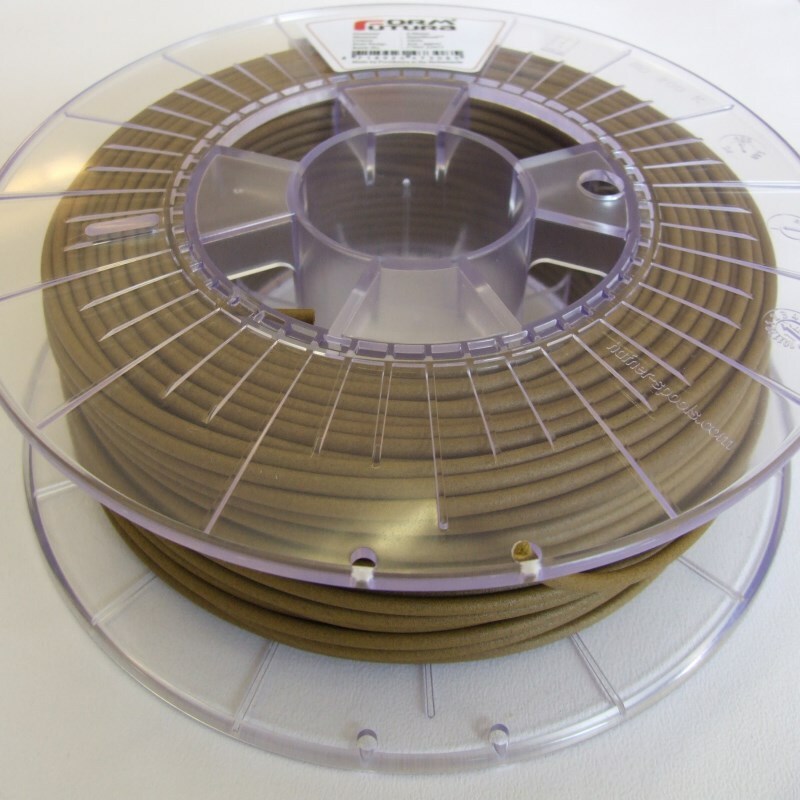 For more technical specifications about our EasyWood™ 3D printer filament, please have a look at the 'SPECIFICATIONS' tab. The printing temperature guideline for printing with our EasyWood™ filament is approximately 210-220°C. As each desktop 3D printer has its own unique characteristics, you might need to tweak around with your temperature settings a bit to get the best results. To obtain optimal results for your prints you need to take into account variables like your 3D printer’s nozzle diameter, your printing speed settings, and layer height. 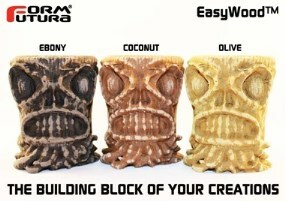 EasyWood™ has similar thermal properties to our EasyFil™ PLA. Therefore it can be printed both with and without a heated print bed. However, if your desktop 3D printer does have a heated print bed it is recommended to set your print bed temperature to approximately 35° to 60° C.
A good first layer adhesion is of the utmost importance in obtaining the best results for your prints. Firstly make sure that you print bed is accurately levelled and clean. EasyWood™ sticks really well to an unprepared print bed. If you would however like to improve your first layer adhesion, then we recommend to prepare your print bed with Eurocel Blue Masking Tape. EasyWood™ sticks extremely well to this masking tape. Preparing your print bed with Blue Masking Tape will not only get your EasyWood™ print to stick like a charm to your print bed, it will also allow you to remove your printed object easily from your print bed. 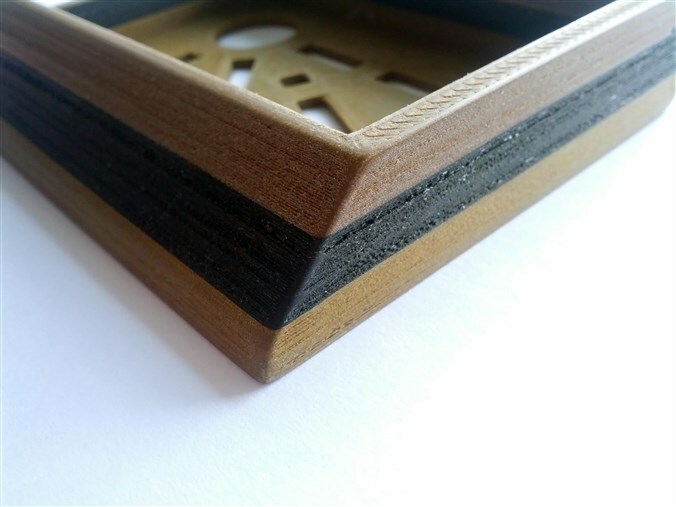 Why not try the amazing new BuildTak™, easy to apply platform printing material. No more Kapton, Blue Tape, Hairspray, PVA Glue, UHU or ABS slurry required! Purchase your preferred size here.